Deborah Kriger has a BFA from the Maryland Institute of Art. She has painted extensively in France, upstate and in her studio in NYC. She teaches art at Ethical Culture Fieldston School. Kriger is inspired by light, textures, patterns and colors. She paints landscapes ‘en plein air’ and still life in her studio. 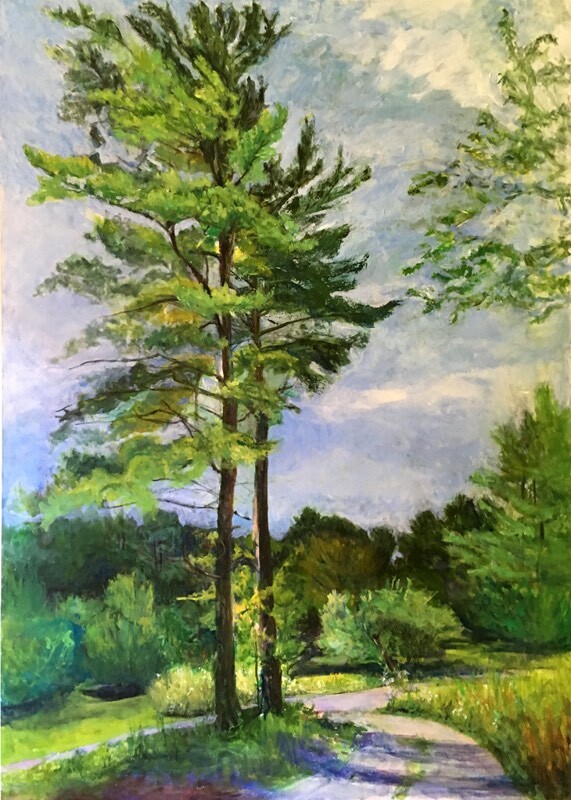 She says that when she looks at her landscapes, whether recently created or from many years ago, she can immediately feel, hear and smell the environment where they were made. In her recent show of paintings, entitled ‘Water,’ she explored its kaleidoscopic patterns of colors, reflections and translucency in compositions ranging from abstract to representational.